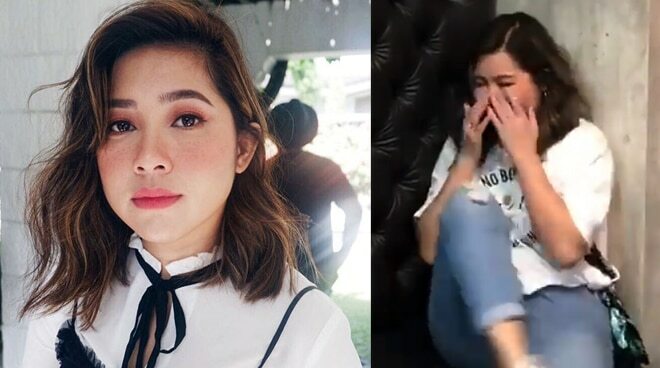 ‘Titibo-tibo’ singer Moira dela Torre turned emotional while singing a slow version of the children’s song Baby Shark. In a video uploaded on the Facebook page of Filipino Tweets That Matter, Moira was not able to hold her tears back during the latter part. Moira is known for being open about her love for her late grandmother that she even composed a song for her. The former Voice PH contestant sang a sentimental version of Baby Shark after a netizen said, “Siguro kahit Baby Shark kantahin ni Moira maiiyak ako,” following the launch of Moira’s emotional song Malaya. Moira then took on the challenge, saying that she would sing it if her song Titibo-tibo wins in this year’s Himig Handog, which happened.